! !SPECIAL BOARD MEMBERS RATE AVAILABLE!! Featuring keynote addresses from the Cabinet Secretary for Finance and the Constitution, Derek Mackay MSP and Caroline Gardner, the Auditor General for Scotland, this one-day conference will bring together a range of senior leaders and Board Members from across the public sector and partner agencies to explore the importance of developing governance capacity in Scotland – with a particular focus on improving board governance, decision-making and performance and ensuring a wide range of perspectives, skillsets and experiences are represented in the boardroom. Developing Good Relationships – Chair & CEO, Chair & NEDs etc. Helen Foster, Lecturer in Accounting, University of Ulster & Dr. Gary Martin, Senior University Teacher in Accounting and Finance, University of Glasgow will explore Dr Martin’s study into ‘Enhancing the Effectiveness of the Corporate Governance of Public Bodies in the Northern Ireland Public Sector’, published earlier this year. What challenges is the board facing? What is the current skills mix? Mr Mackay has been the Member of the Scottish Parliament for Renfrewshire North & West since 2011. He was appointed as Cabinet Secretary for Finance and Constitution in May 2016 having previously served as Minister for Transport and Islands and Minister for Local Government and Planning. 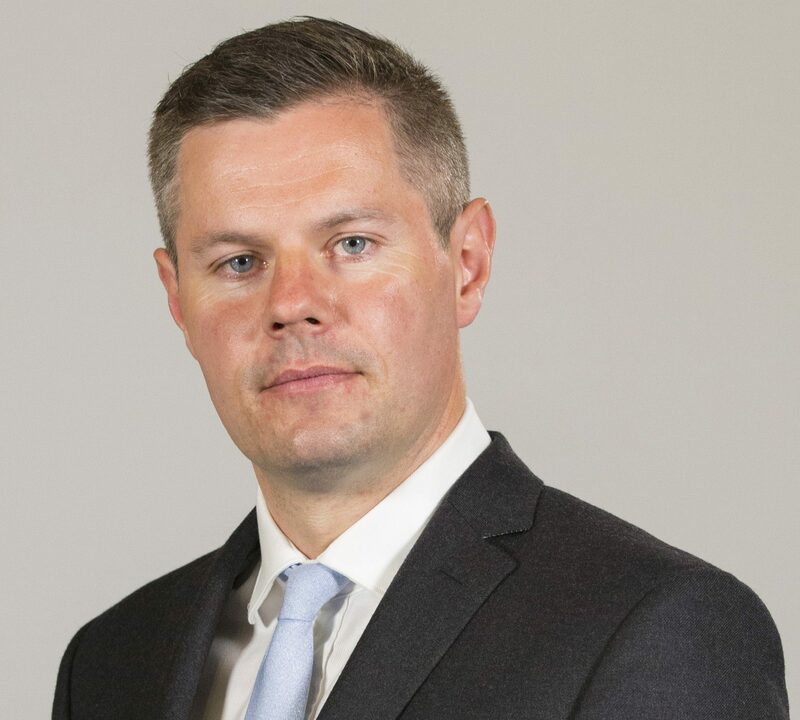 Mr Mackay is currently SNP Business Convener (Chairman of the Party), responsible for chairing Conference, the National Executive and the management and administration of the party. Elected to Renfrewshire Council in 1999 at the age of 21, he was the youngest male councillor in Scotland at the time. He won three successive ward elections to become Leader of Renfrewshire Council in May 2007, taking the SNP from opposition to lead the administration for the first time. He became a national figure in local government leading the SNP group at COSLA (Convention of Scottish Local Authorities) 2009-2011. He served on Greater Glasgow & Clyde Health Board as a Non-Executive Director and Chair of Renfrewshire Community Health Partnership (2007–2011). He was also previously chair of the Paisley Vision Board and Renfrewshire’s Fairtrade Steering Group. Caroline is the Auditor General for Scotland, responsible for auditing the Scottish Government and public bodies in Scotland and reporting to the Scottish Parliament. She is the accountable officer for Audit Scotland. A professional accountant with more than 25 years’ experience in governance, audit and financial management. Previously Caroline has held a number of senior positions including; Deputy Auditor General with Audit Scotland, Controller of Audit, Chief Financial Officer to the Turks and Caicos Islands Government, appointed by the UK Government’s Department for International Development to restore stability to the country’s finances, and the Audit Commission for England and Wales. Caroline was included in this years Public Finance Top 50 as a 2016 Trailblazer and recently been awarded a Fellow Member status with CIPFA and RSE Fellowship. Susan Rice is Chairman of Scottish Water, Business Stream, and the Scottish Fiscal Commission. A Chartered Banker, she was previously Managing Director, Lloyds Banking Group. As Chief Executive, and then Chairman of Lloyds TSB Scotland, she became the first woman to head a UK clearing bank in 2000. In 2012, she became the first woman elected as President of the SCDI. 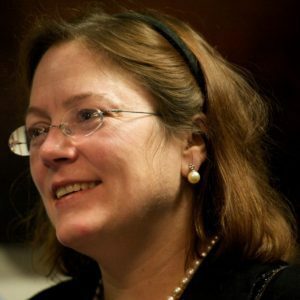 Alongside the current roles, she is Senior Independent Director of J Sainsbury plc, and a non-executive with the North American Income Trust and the Banking Standards Board. She also chairs the Patrons’ Governors of the National Galleries of Scotland, the City of Edinburgh’s Culture Task Group, and is a lay member of Court at Edinburgh University. Susan was on the board of SSE plc for eleven years and Bank of England for seven. At the behest of the banking industry, she chairs a UK-wide initiative to create professional standards for bankers, for the first time in the UK. Currently also a founding director of Big Society Capital Ltd, and previously of Charity Bank, she is active in addressing issues of social and financial exclusion. A frequent speaker on the future of financial services, the Scottish economy, leadership and corporate responsibility, she has been a member of the First Minister’s Council of Economic Advisers. 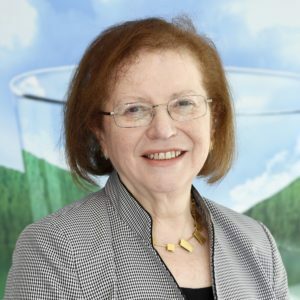 She chairs Scotland’s 2020 Climate Group, helping lead a cross-sector focus on a sustainable economy, and has spoken internationally about finance for renewables, Scotland’s low carbon agenda and climate justice. Born in the US, Susan has degrees from Wellesley and Aberdeen University, and honorary doctorates from seven Scottish universities. She is a Regent of the Royal College of Surgeons Edinburgh and a Fellow of the Chartered Banker Institute, the RSA and the Royal Society of Edinburgh. Lindsay Burley has worked in the Scottish NHS for over forty years, as a doctor, manager, chief executive and non-executive director; and was the first chair of the National Waiting Times Centre Board for Scotland. She now chairs NHS Education for Scotland and recently stepped down as Chair of the Scottish Association for Mental Health (SAMH). With her husband, Robin, she runs a business specialising in business coaching and conflict management from their home in Musselburgh. Lindsay is a Fellow of the Royal College of Physicians of Edinburgh, the Royal College of General Practitioners, and the Royal Society for the encouragement of Arts, Commerce and Manufactures. Lindsay was awarded the CBE in December 2010 for her services to health. 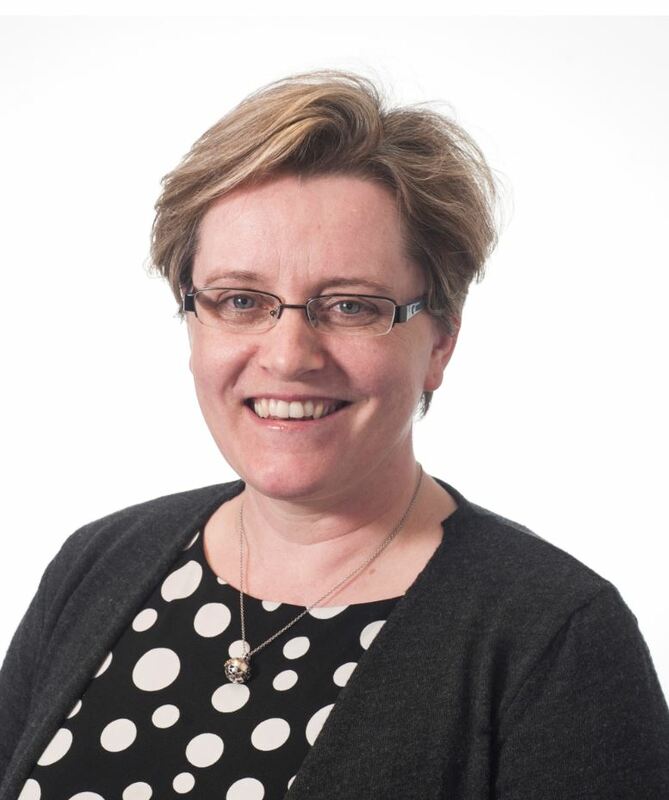 Kirsty-Louise Campbell is the interim Head of Strategy and Insight for the City of Edinburgh Council, leading the Council across key areas of Governance, Strategy and Transformation. Previously, Kirsty-Louise worked as the Council’s Senior Strategy and Governance lead. She graduated from Edinburgh University with honours in Law. After 13 years community development work in Glasgow, Paul joined Glasgow College of Building and Printing in 1997, developing the College Community Learning outreach programme. A secondment as Director of the WSWAF “On Track” project followed (supporting College to HEI student transition), with a return to GCBP in 2003, in a senior management position responsible for planning, development, and inclusion. At the merger of GCBP with the Glasgow College of Food Technology to form Glasgow Metropolitan College in 2005, Paul had responsibility for College strategic and operational planning. In 2005 Paul took up the role of College Secretary, including a planning remit, until the merger of the City Centre College to form City of Glasgow College in 2010. From 2010, Paul had undertaken a Director of Planning role, combining this with the College Secretary position in 2014 to the present. “I joined SPSO in 2003 as a Complaints Reviewer. My background was in law/finance and the third sector. I established (and still run) the SPSO Training Unit in 2007. We deliver training in good complaint handling, complaint investigation skills, learning from complaints and managing difficult behaviour to a broad range of staff across Scottish Public Sector organisations and beyond. I am also a member of our new Learning and Improvement Team who are exploring ways to support organisations to ensure that the potential learning from complaints is realised”. Tanya Castell is a former senior global blue chip banking executive with expertise in corporate governance, risk management and change. She is the founder and CEO of Changing the Chemistry, a charity headquartered in Scotland which is working to improve board effectiveness through greater diversity of thought around the boardroom table. She also has a portfolio of non-executive directorships; she is Vice Chair of the public sector board Scottish Canals (which is conserving and transforming the canals in Scotland) and on the board of the UK’s only near real time payments system, Faster Payments and global brokerage firm Societe Generale Newedge. She is also chair of the Institute and Faculty of Actuaries Quality Assurance Scheme regulatory sub-committee, on the board of a community charity in the Highlands, a governor of Fettes College and sits on the advisory board of Women on Boards. Neil Stevenson is the Chief Executive of the Scottish Legal Complaints Commission the gateway for all complaints about lawyers, and with powers to award up to £20,000 of consumer redress. His previous background combines significant experience of regulation and complaints, and of the Scottish legal services market. In 2009 he was appointed by the Privy Council to sit on the General Dental Council, the regulatory and complaints body for 104,000 dental professionals in the UK. He is now also chair of their Remuneration Committee. Between 2004 and 2015 Neil worked with the Law Society of Scotland, latterly as their Director of Representation and Professional Support. He was a founding Director of the Scottish Arbitration Centre. He has previously held a number of other executive and non-executive director roles in organisations spanning the legal sector, healthcare, consultancy, and oil and gas. For over 12 years he has worked on equality research and projects within the legal and other sectors, including sitting on the equality group of the Judicial Appointments Board for Scotland and on the Justice Disability Steering Group. He is currently a Trustee of Changing the Chemistry, an organisation focussed improving board effectiveness through greater diversity of thought around the boardroom table. Carmel has a background in Organisational Development and experience of both management and consulting across a broad range of industries and sectors. She is a Board Member of two Non-departmental Public Bodies. Previously she held senior management roles in FTSE 100 and ASX 100 companies including Westpac, Lloyds Banking Group and British Sky Broadcasting. More recently she held the position of Group Head of Organisational Development for UGL, one of Australia’s leading engineering and outsourced services companies and was a Director of software firm Azalient Ltd.
Carmel holds an MSc in Organisational Behaviour from University of London and is a Fellow of the Chartered Institute of Personnel Development. Gary Martin is an academic at the University of Glasgow. A senior lecturer in accounting, he specialises in the fields of corporate governance and corporate social responsibility. He has published on the subjects of public management, public administration and governance in a public sector context. He holds a number of non-executive positions in the public sector including: chairman of the advisory board of the Northern Ireland Audit Office; chairman of the Northern Ireland Assembly Ombudsman’s Office’s audit committee; and member of the Northern Ireland Audit Office’s audit committee. Prior to working as an academic, he has held a number of accounting related positions in multinational corporations. 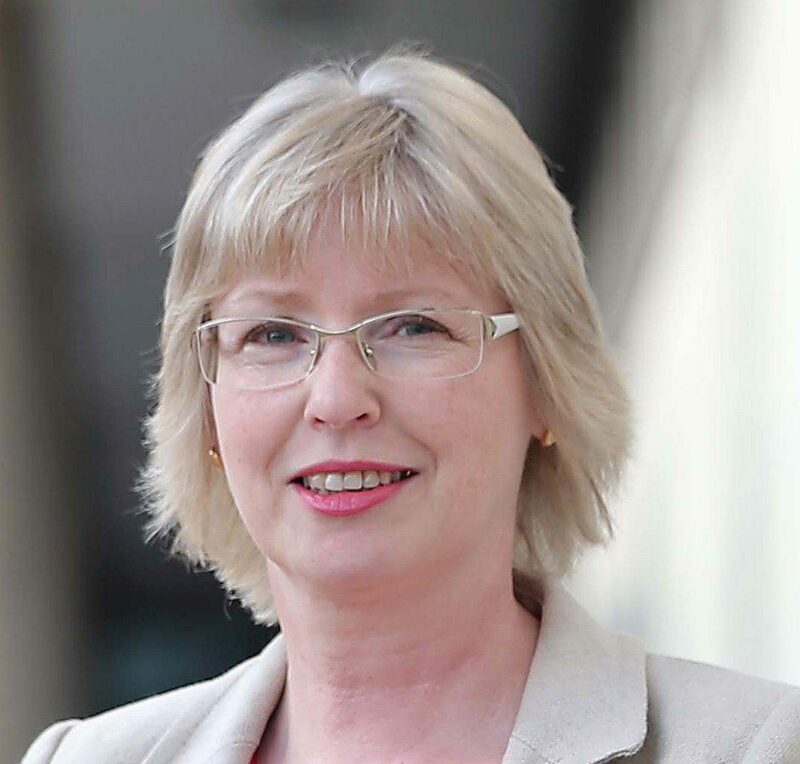 Helen Foster is a fellow of Chartered Accountants Ireland, and a member of CAI Ulster Society Public Sector Group. She is a lecturer in accounting at the Ulster University, where she teaches a range of accounting subjects focusing in particular on financial accounting and IFRS. Helen trained in Dublin before moving to Belfast. She worked in practice and in industry before taking up her role at Ulster. In addition to her interest in financial accounting Helen is interested in issues concerning accountability in the public sector and has a research interest in Public Accounts Committees. Trisha McAuley OBE is an expert in bringing the stakeholder into public and private sector thinking, and in enabling high value change and action as a result. Trisha has twenty years’ experience as a successful senior leader in consumer policy, operating within Scotland and across the UK. She has a track record of high level, impactful and influential stakeholder engagement. She has worked effectively and constructively with business, public services, governments and regulators, bringing about change to the mutual benefit of consumers and business. She has played a key role in building consensus and operating in challenging, high profile stakeholder environments, enhancing and safeguarding organisational reputation. Trisha was awarded an OBE for services to consumer affairs in the 2015 New Year’s Honours list. Vivienne is Director of Corporate Services and Low Carbon at Scottish Futures Trust, a company specialising in public sector infrastructure investment. She is a qualified accountant who spent 16 years within the accountancy profession in both management consultancy and project finance roles before becoming Finance Director of Caledonian Economics, a specialist economic and financial consultancy practice. Vivienne has advised on a wide range of public private partnership projects across the low carbon, water, education and health sectors. She is a Director of Highwood Health, the company responsible for developing the new Dumfries & Galloway Hospital and is a Non-Executive Director and Chair of the Audit Committee for Museums Galleries Scotland, the national development body for this sector in Scotland. Liz Humphreys has thirty years experience of working in the public and voluntary sectors. She is currently a Non-Executive Director of Independent Living Fund Scotland, a public body which provides financial support to help over 3,000 people in Scotland and Northern Ireland to live independently. She is also a Trustee of the Edinburgh-based charity IntoWork, which supports disabled people in finding employment, as well as being an active member of Changing the Chemistry, a Scottish charity with the aim of promoting diversity within organisations, particularly at Board level. During her career in the public sector, Liz worked at Board level in the justice, marine and culture sectors, both in Westminster and Scotland. Don is a qualified accountant and is the Head of CIPFA Scotland based at the Institute’s Scottish HQ in Edinburgh. Don’s background is local authority finance, having trained initially at a Scottish local authority. 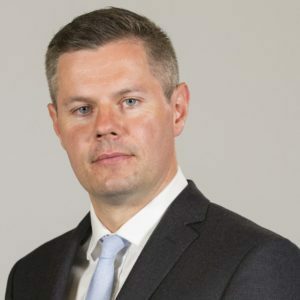 He also worked for Audit Scotland prior to joining CIPFA in 2002 as Policy & Technical Officer becoming Policy & Technical Manager in 2004 before becoming Head of CIPFA Scotland in November 2013. In April 2014 Don also became CIPFA’s Head of Devolved Government and in April 2015 assumed further responsibility for CIPFA’s new Financial Management faculty. In 2014, Don led on the Institute’s work on the Scottish referendum and that same year was appointed as the expert budget adviser to the Welsh Assembly’s Finance Committee for the 2015/16 budget process. Don has led CIPFA’s work on local taxation in Scotland and was a member of the Commission on Local Tax Reform. The Commission was set up by Nicola Sturgeon MSP, First Minister, to investigate alternatives to local taxation in Scotland. Outside of work Don is happily married with 2 grown-up sons. The Scottish Government is the executive arm of the devolved government for Scotland. The Scottish Government, known as the Scottish Executive prior to 2007, is responsible in Scotland for all issues that are not explicitly reserved to the United Kingdom Parliament at Westminster by Schedule 5 of the Scotland Act 1998. Devolved matters include health, education, justice, home affairs, rural affairs, economic development and transport. The Scottish Government is led by a First Minister, nominated by the Scottish Parliament and by the Queen, who then appoints a Ministerial team, with the approval of Parliament, from the elected MSPs. The Scottish Law Officers, the Lord Advocate and Solicitor General, can be appointed from outside the Parliament’s membership, but are subject to its approval. The First Minister, the Cabinet Secretaries and the Scottish Law Officers are members of the Scottish Government. They are collectively known as the ‘Scottish Ministers’. Parliamentary elections in Scotland, initiated in 1999 when the Scottish Parliament was re-convened after a gap of almost 300 years, are held every four years. Of 129 MSPs 73 are elected from first-past-the-post constituencies with a further 56 are returned from eight regions, each of which elect seven MSPs as a form of mixed member proportional representation. New Administrations are appointed after each election. Changing the Chemistry (CtC) is a Scottish charity working to improve diversity of thought in the boardroom (diversity being not just about gender but also ethnicity, age, disability and other types of protected characteristics as well as cognitive and experiential diversity). 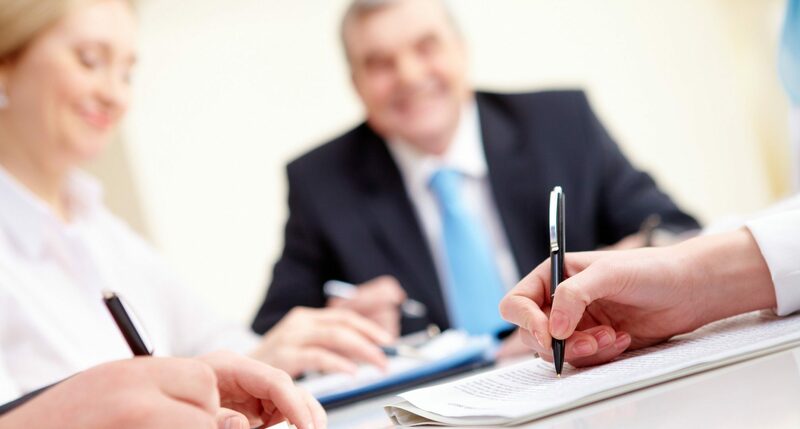 CtC promotes the benefits of more effective governance at Board level across all sectors – based on increasing volumes of evidence that more diverse boards make better decisions, leading to improved effectiveness and resulting in better performance, and ultimately, improved productivity. 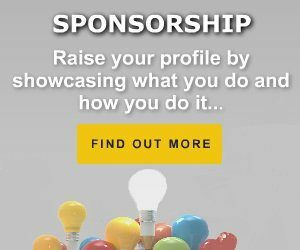 The charity operates as a peer support network charging no membership fee but expecting members to contribute to help individuals from diverse backgrounds secure board roles and then supporting them to perform in those roles. In addition to developing the supply side of board recruitment, CtC is also working to influence the demand side by making those hiring board members more aware of the biases and stereotypes impacting their decision-making. Membership is open to anyone aged 18 or over who supports the charity’s aims and is willing to commit to contribute in some way (there is no membership fee). CtC has filled more than 70 board appointments from the membership across the private, public and third sectors and also helped a number of organisations to achieve significant improvements in the diversity of their boards. The nearest rail station is Edinburgh Waverley. A Taxi to Surgeons’ Hall from Waverley Station would cost around £5.00. A taxi rank is located just outside the station. Alternatively, Waverley station is a 10 minutes’ walk from the venue. Please exit Waverley via the Market Street opening. Take a right and then 1st left onto Cockburn Street and follow the road/hill until the top. Take a left at the top of Cockburn Street onto The Royal Mile. At the 1st set of lights, take a right onto North Bridge and continue along this route until the College is on your left on Nicolson Street, opposite the Festival Theatre. Once in the front gates, please follow the relevant signage for the event. Inter-city bus services terminate at the St Andrew’s Square Bus Station. Buses from Princes Street (stops on the side of the street lined by shops- [heading north]) are very frequent. Services passing the College include numbers 3, 5, 7, 8, 14, 30, 31 and 33. There is no private parking at Surgeons’ Hall. There are metered parking spaces on Roxburgh Place, Nicolson Square, Richmond Place, and Chambers Street.